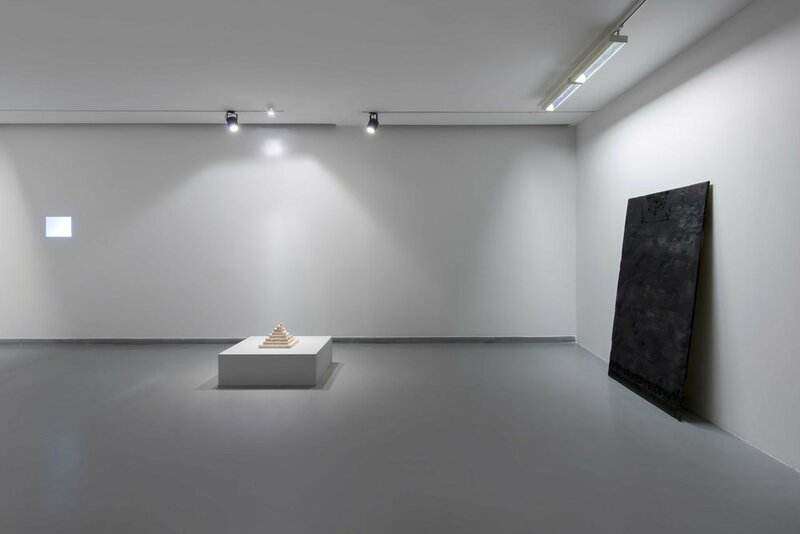 “Restless Monuments”, curated by Bettina Klein and Naz Cuguoğlu, assembles works by Guido Casaretto, Vajiko Chachkhiani, Antonio Cosentino, Lara Ögel, Mykola Ridnyi, Walid Siti, Christine Würmell. “Restless Monuments” can be seen at Zilberman Gallery–Istanbul’s main gallery in Mısır Apartment between March 6 – April 28, 2018. “Restless Monuments” is an exhibition in response to the rapid transformation of the city as a result of political ideologies. Blunt, authoritarian, decision-making processes that exclude collective input lead to the disappearance of places, objects, habitudes, and eventually to a strong feeling of loss by those who are often most directly affected by them. This exhibition explores the idea that diverse objects and situations, outside of any sanctioning by authorities or agencies of the state can, over time, begin to serve as “monuments” for individuals, small groups and communities. 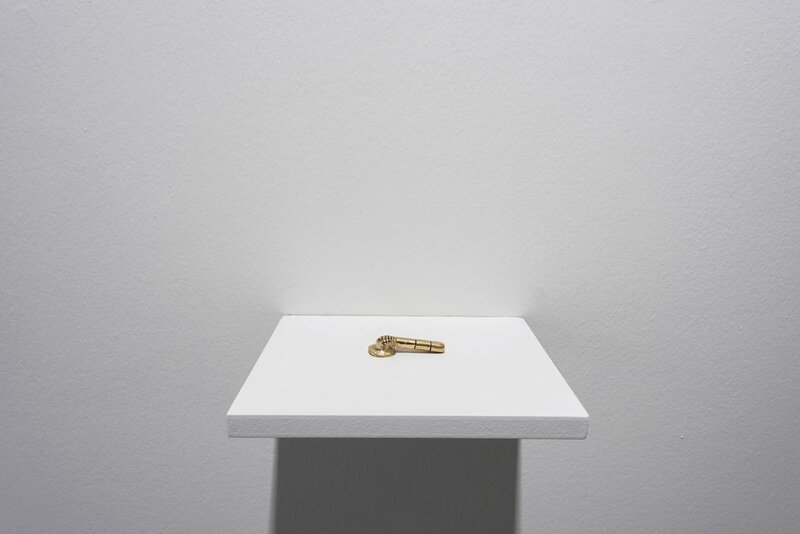 The title carries a contradiction in itself, as none of the works in the show represents a monument in the strict sense, instead they’re dealing with public sculptures and their symbolic and economic value, with objects that trigger or represent personal memories, and with monuments that could have or should be built. The term “restless” addresses here the insecurity and unsteadiness of a contemporary situation, but also the physical fragility of the objects themselves. Challenging the idea of monuments as objects that are no longer remembered or found relevant, the works in the exhibition instead suggest reconsidering them as objects providing a space for debate and encounter. Guido Casaretto’s work re-activates the ceiling from the artist’s grandmother’s old house in Tarlabaşı (Istanbul). Preserved alone and intact in the rundown house, Casaretto replicated the ceiling by casting the wood with its burnt cracks and textured engravings. This work brings the memory of Istanbul’s Levantines* to the gallery space, who have been living in the city since the Ottoman Empire, and have left significant marks, e.g. on its cultural life and its architecture. In Vajiko Chachkiani’s video, a monumental statue is pulled from the water, hooked up to the back of a pickup truck, and slowly disintegrates as it is dragged along. “Winter which wasn’t there” can be read as a parable of a self-liberating act, as a disentanglement from the image of one’s own history, which the film situates subtextually in both a social and political context. Antonio Cosentino has been working on his “Istanbul Atlas” series for almost twenty years. Places that the artist documents while he wanders around the peripheral neighborhoods of the city emerge as a monument, constructed by the artist as a response to the passage of time and its impact on the city of Istanbul and its residents. Whereas his work “Suburban Train”, built out of recycled tin containers, brings the memory of the now defunct suburban trains of Istanbul into the exhibition space. Lara Ögel’s work is a pin, in the form of a discarded safety cone, resembling those designed especially for remembrance days. “Baba” is the name for this public object, but also the Turkish word for “father”. Within the municipality structure, baba serve to limit and direct pedestrian traffic on sidewalks; while the column-like shape, name, and function indicate the deeply patriarchal underpinnings of the societies that produce them. Mykola Ridnyi’s video features an interview with a former police officer who decided to leave the police force, and now works as a stonemason. Dima explains how his initial idealism gradually slipped away in the face of corruption within the Ukrainian police apparatus. Ridnyi disrupts the routine of Dima’s workday with a special commission, asking him to carve a pair of police boots, which can be seen in the exhibition. In his film, he also incorporates short sequences from Soviet cartoons of the 1960s. Walid Siti’s sculptural work, made of a local marble from the Iraqi geography, resembles an ascending staircase. Almost functionless except for the Arabic words that refer to Kurdish female names, derived from plants in nature, this staircase sheds light on the women whose contributions are disregarded in a land going through destruction, as opposed to the male figures that are “immortalized” with monuments built by the patriarchal society. * Minorities with Western European origins such as French and Italian, generally living in Istanbul and Izmir during the Ottoman Empire era, whose population decreased significantly over the centuries. To download the catalogue of "Restless Monuments", please click here.